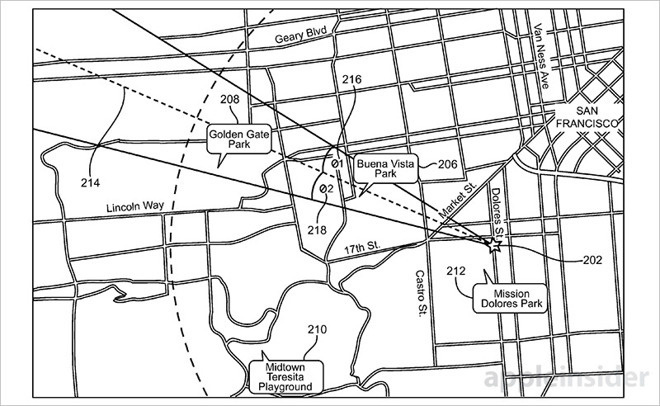 Apple has just been granted a patent detailing a mapping system that can be used for augmented reality. It would essentially allow the device to utilize its hardware to overlay special visual effects onto live video. This plays into the idea and rumors swirling around that suggest Apple could well be implementing an AR strategy when it comes to their products later on down the pipeline. It could be a very exciting time for iPhone users sometime soon. The patent, U.S. Patent No. 9,488,488 for "augmented reality maps" shows off much of what the phone could have in store, detailing a special mapping app that would use the iPhone's sensors to generate items onscreen, such as street names, points of interest and other sets of data similar to that which you'd see on a GPS unit. Using information ascertained from onboard sensors such as the gyroscope, accelerometer, and GPS the phone could determine where the video scene is taking place, then overlap pertinent information on top of it for some interesting combinations of information and tracking. 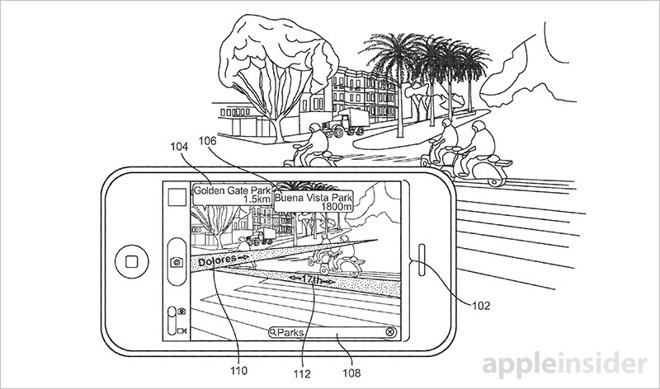 This would be especially useful for apps like Google Maps, which could change from a bird's-eye view and back to augmented reality again in the blink of an eye, or significantly upgrade the way we look at and play games like Pokemon Go, which was likely a springboard for testing some of what Apple has in store for AR at a later date. Whatever the case may be, it's likely we'll be hearing more about this new tech in the future.